Profile: A co-ed, pre-K through 12, private school, Greenhill offers courses in band, orchestra, choir, dance, theater, debate, and drama that make use of the Marshall Family Performing Arts Center. The two-story building opened in February 2016 and includes a 600-seat proscenium theater with fly loft. The studio theater seats 150, the dance and choral rehearsal studio seats 80, and the digital film and video production lab "extends the performing arts into new virtual territory" (architect Weiss/Manfredi). Students' skills are honed in the learning environments of the theater spaces as well as classrooms, dressing rooms, costume shop and scene shop. 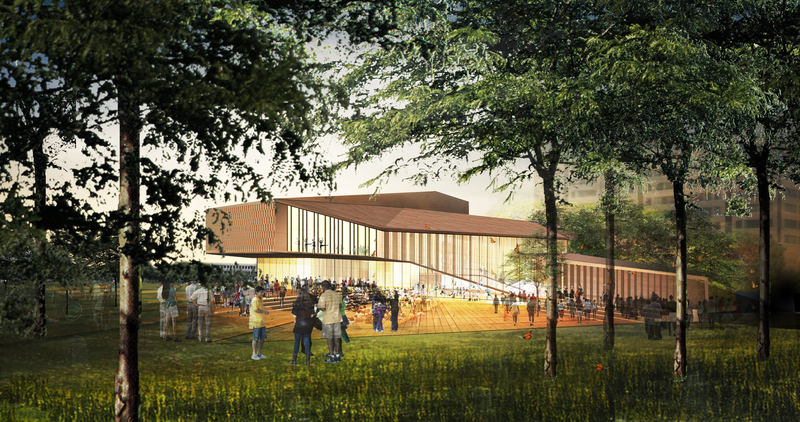 The double-height box-office lobby opens to an outdoor plaza.